2019 is still young, but it’s not too early for there to be a festival at Epcot. 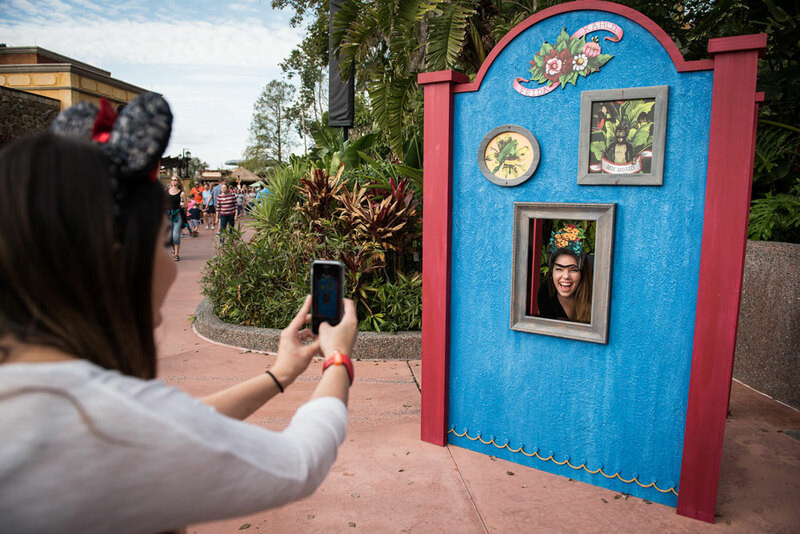 The 2019 Epcot International Festival of the Arts began today, and this celebration of creativity has come a long way since its modest but highly successful debut a couple of years ago. Running until February 25th, this year’s Festival of the Arts promises to be the best one yet, with fun ways to enjoy the performing, visual, and culinary arts. So here are five ways you can celebrate culture and grow as an artist, all while having a blast on your Disney World vacation. 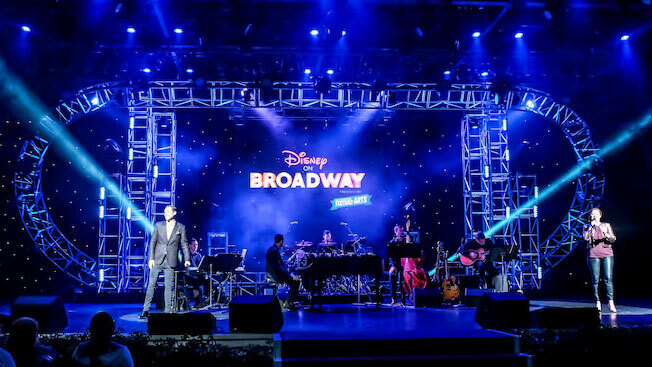 You can now see Disney On Broadway every day during this year’s Festival of the Arts. The live-concert series at the America Gardens Theater across from American Adventure has been expanded due to popular demand. This is your chance to see a pair of Broadway stars (and Disney musical alumni) perform famous tunes from the Great White Way. Seeing a Broadway performer sing live is a one of a kind experience, so don’t pass it up. What would an Epcot festival be without food booths? Yes, the culinary arts are well represented at this year’s Festival of the Arts, with 13 Food Studios serving up visually-stunning and palate-pleasing dishes. All of these dishes share a presentational flare that almost make them too beautiful to eat. Emphasis on almost. Jump on this chance to put some art in your mouth without being escorted out from a museum. 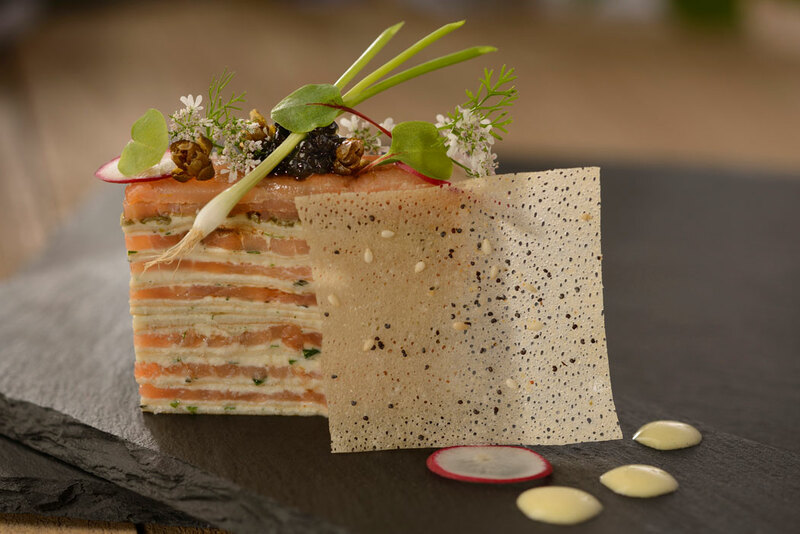 We are particularly excited to try the Beef Wellington with Mushroom Bordelaise from The Artist’s Table (America), the Moelleux Aux Chocolats Valrhona from L’Art de la Cuisine Française (France), and the Smoked Salmon and Cream Gâteau from Painter’s Palate (Odyssey). For a full list of each of the Food Studios’ offerings, head to Disney World’s website. One of my favorite parts of the Festival of the Arts is the massive paint-by-number mural along World Showcase Plaza. I like this for three reasons. 1) It’s so simple, anyone can contribute (even those of us who struggle with a paint brush). 2) It’s fun to see the giant mural progress as the festival goes on. 3) You get to give a small contribution to a larger whole, which benefits everyone around. If that’s not in the spirit of the arts, I don’t know what is. Want another way to make a work of art without much work? There will be plenty of unique photo-ops that put you in the center of famous masterpieces. Pose and give your best Mona Lisa smile. I’m a huge fan of all the interactive seminars and workshops at the Epcot festivals. It’s a chance to learn something new, try something unique, and many times you walk away with a one-of-a-kind souvenir. 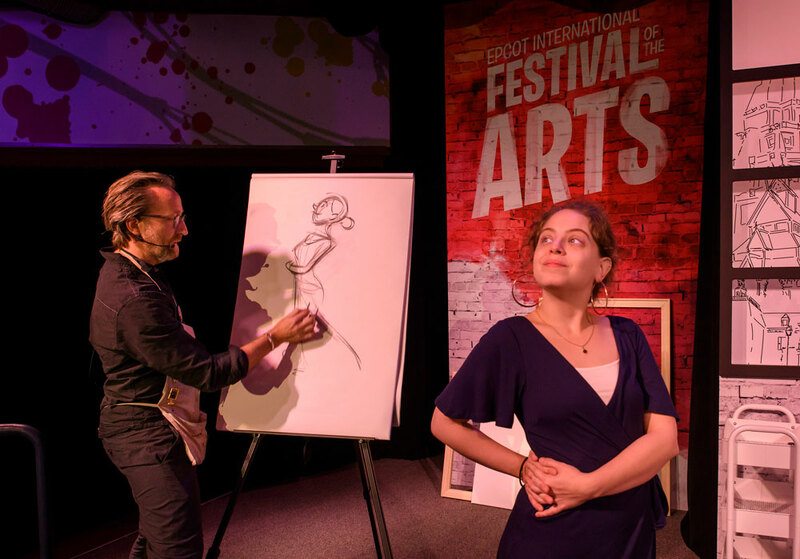 The Epcot Festival of the Arts has an awesome lineup of complementary seminars, covering topics ranging from photography to music to pixel art. Check out the free seminar lineup on Disney World’s website. Looking for something a bit more in-depth? Disney is offering interactive workshops that give you the opportunity to create a work of art with the guidance of a master artist. Classes cover everything from animation to floral design to 3D paper craft. Each workshop is $39. Call 407-WDW-TOUR to book your spot. Check out the full list of paid seminars on Disney World’s website. Figment’s on the loose throughout the World Showcase. This interactive scavenger hunt is a great way to tour the park and have an activity that the whole family can enjoy. 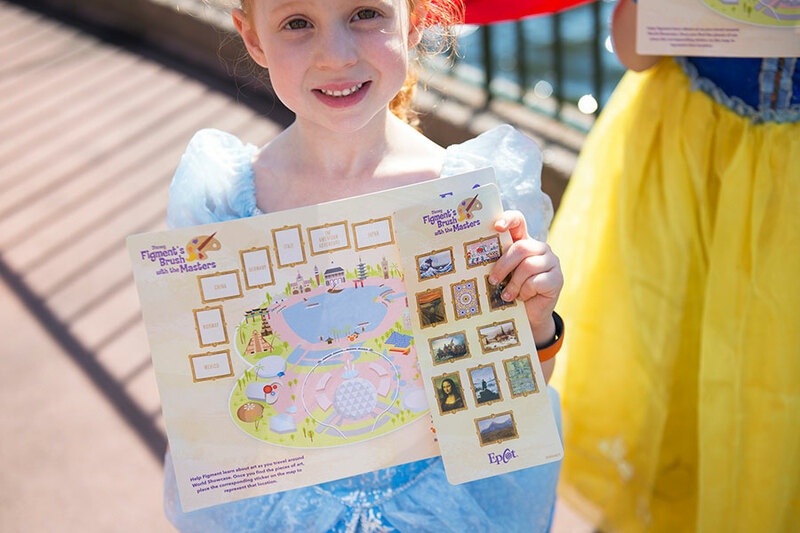 Purchase a map at Pin Central, Disney Traders, or World Traveler. Then look out for Figment inside different famous works of art in each of the pavilions of the World Showcase. Once you find Figment, take the corresponding sticker and place it on the map. Once you finish, you will be rewarded with a special pin featuring Figment. I love doing this, and find that $8.99 is a small price for an activity and souvenir. However, if you are a starving artist, you can just look out for Figment and play along for free (no pin prize, unfortunately). What are you excited to see at this year’s Festival of the Arts? Let me know in the comments below, or on Facebook / Twitter / Instagram.